It's the weekend!!! So it's time for another weekly round up. 1. 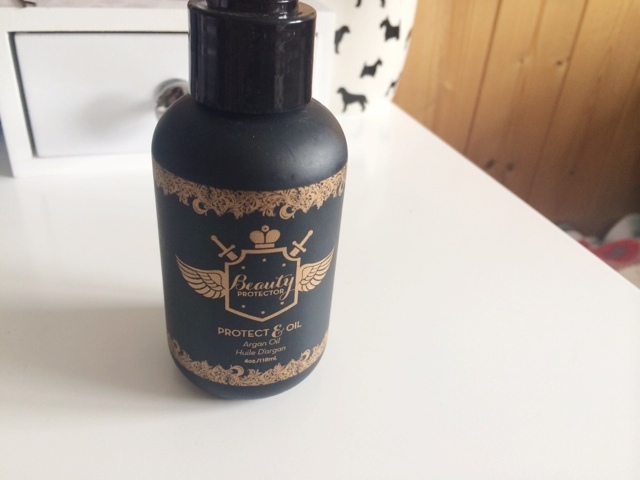 You may recognise the Beauty Oil & Protect from another round up, but I recently received the full size which I have been, well, obsessed is an understatement. The scent of this is heavenly. I would gladly wear it as a perfume every single day. It's so good. It's also pretty good for my hair too. Well it's very good and I'm so glad I have the full size now. 2. 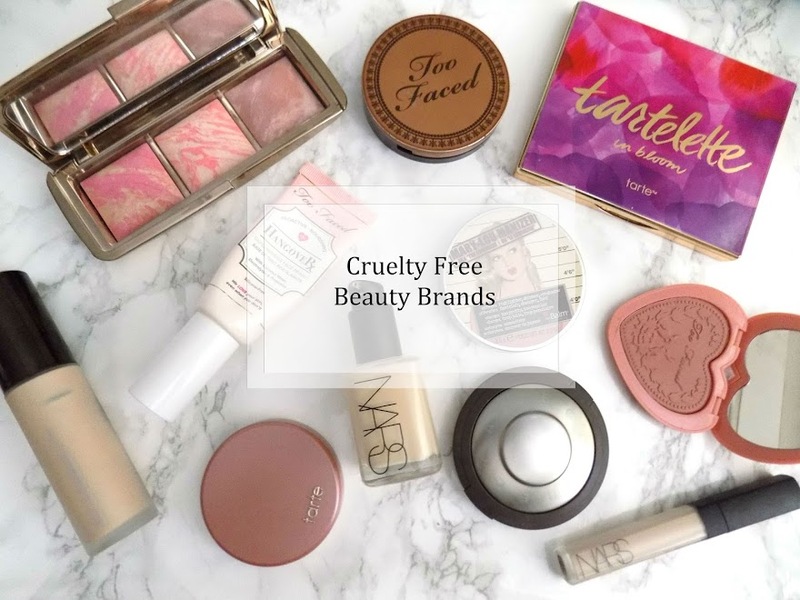 Next is the Too Faced Natural Palette which I have used every single day. It has a really nice range of neutral shades, with mattes and shimmers. The quality of the shadows is phenomenal and the pigmentation is on point too. Highly recommend. 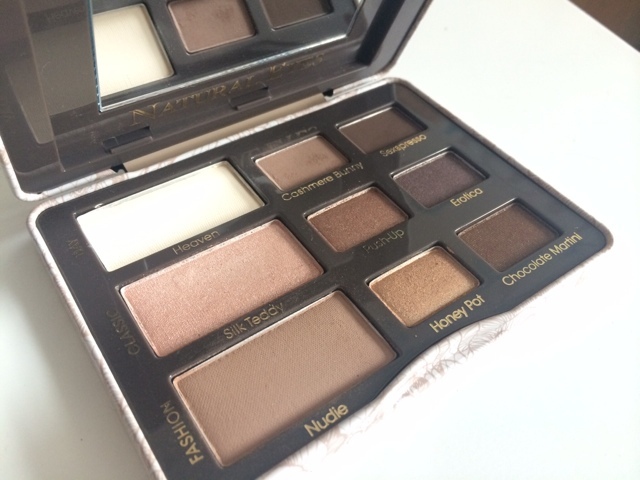 Keep checking back here and my social media for a look or two using this palette. 3. 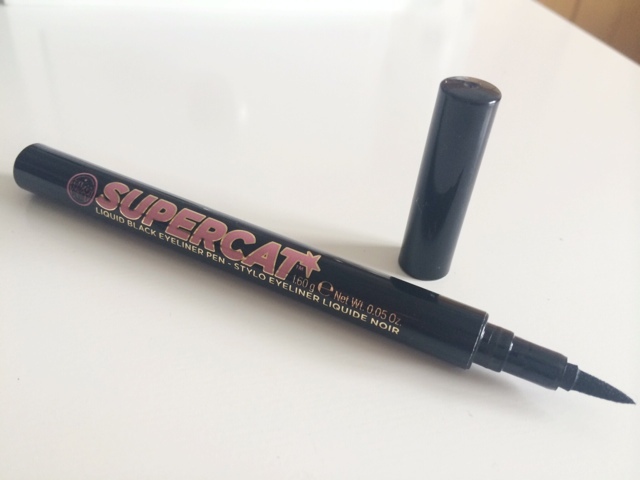 The Soap & Glory SuperCat Liner is the only thing I have used for my winged liner this week. It makes it so easy. The nib isn't flimsy or flexible so it's really good to get that wing perfect. Plus, it's from the drugstore so is affordable and easily accessible. 4. 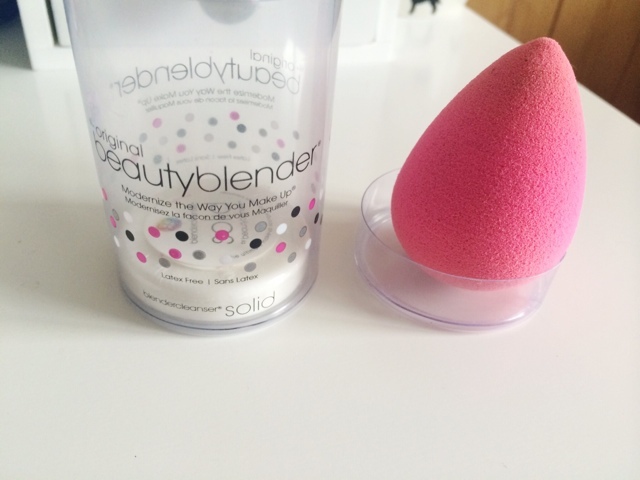 You may have seen me mention this in my June Birchbox, the Beauty Blender has been such an amazing tool for applying my makeup I am so surprised how much I like it as the Real Techniques one didn't wow me that much as it was too damp but this one is perfect. It blends makeup in seamlessly and so fast it reduces my makeup application time dramatically. 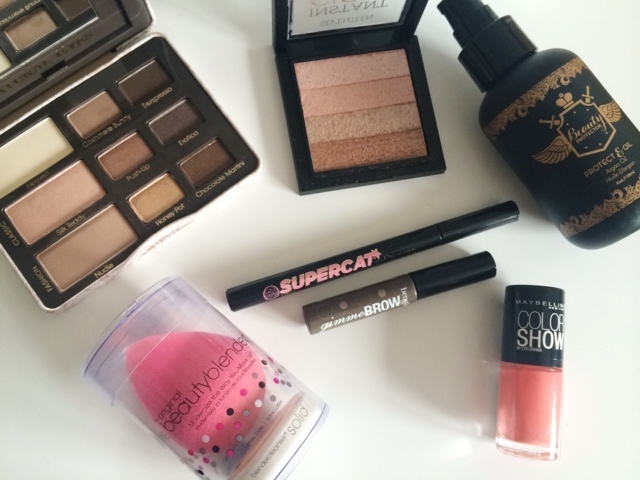 Plus it's great for bouncing over any cakey-ness or smudges, or just for touch ups. There will be a review coming on this soon too so keep an eye out for that over the next few weeks once I've tried it out even more. 5. Shimmer brick products were never really very appealing to me. The Bobbi Brown ones, or the Revlon offerings were never anything that jumped out at me. But when I saw the Seventeen Shimmer Brick, and played around with it a little, I realised what I've been missing out on. This stuff is just beautiful. It's gives a beautiful glow to the skin. 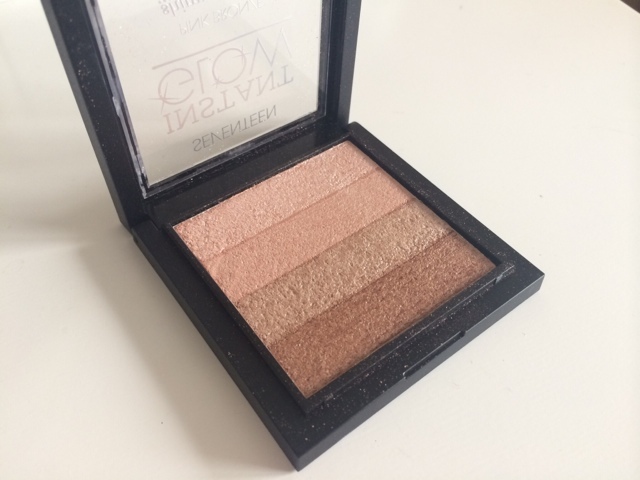 Can be used as a cheek highlighter or even as eyeshadow. For the price, I think it's definitely worth picking one up, or something similar. I think I will be trying out some different ones for a review/comparison. So if you have any recommendations then feel free to let me know. 6. 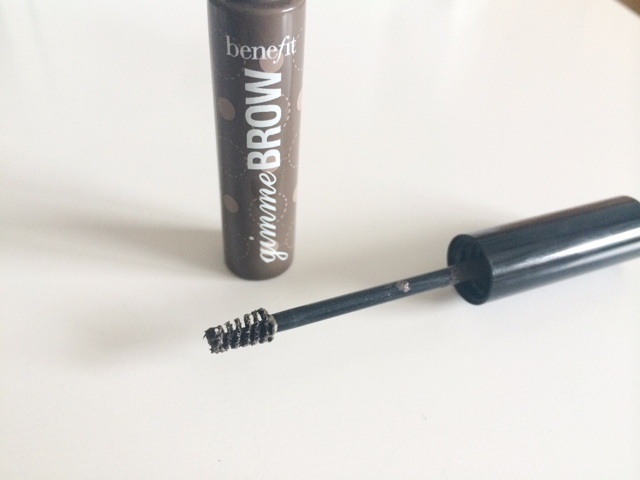 The Benefit Gimme Brow is very similar to the Maybelline Brow Drama I use every day, but this has a itsy bitsy little brush and it also has small fibres in it. This product doesn't just give colour to your brows, it uses the fibres to make your brows look fuller. I have the darker shade as I have dark hair although I find it can be a bit too much sometimes but otherwise I am super happy with this and really like it so far. 7. 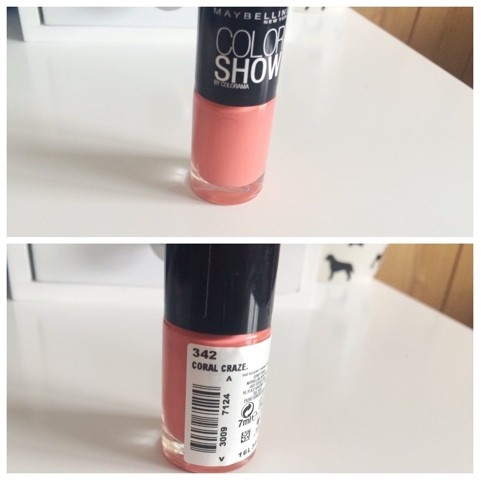 The nail polish I have worn pretty much all week is the Maybelline Colour Show Coral Craze Nail Polish. This is one I had last year and wore a lot. This is just the perfect combination of pink, coral, peach and is the perfect shade too, not neon but not pastel. 8. 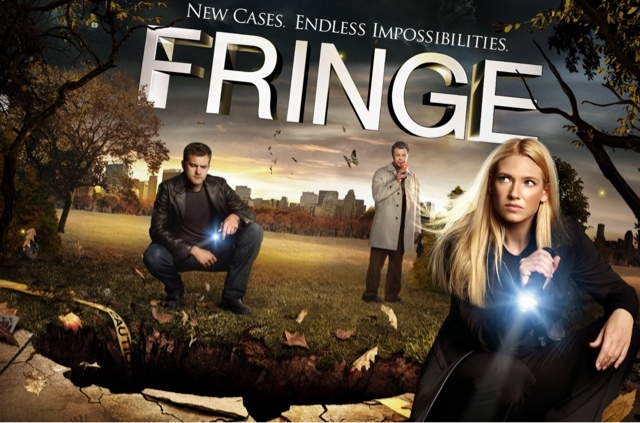 My TV show favourite this week has been Fringe. This is such a gripping, mind blowing TV series that I don't even have my head around yet. I wouldn't even know where to start in explaining the basics. I couldn't even describe what genre it comes under. I just highly recommend checking out. It's available on Netflix. So there's this weeks weekly round up. I hope you liked it and have liked some of the posts I have put up this week. Any requests or questions, please let me know. They're all noted and I try and get through them as much as I can. What TV show recommendations do you have?